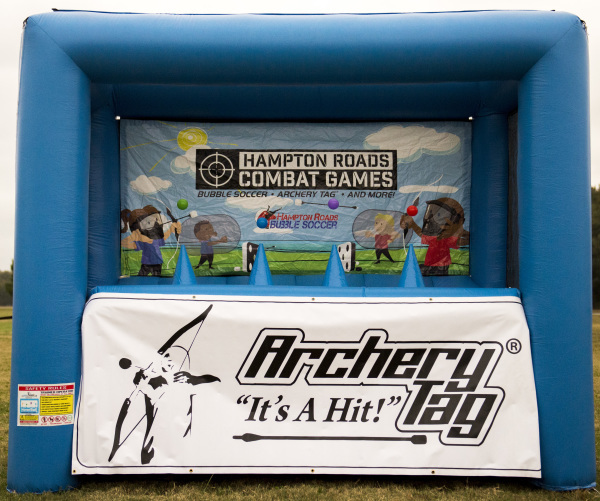 We offer the best combat games in Hampton Roads including Bubble Soccer and Archery Tag®. We're completely mobile so we'll come to you. Recruit your teammates for an unforgettable, adrenaline packed experience with​ Hampton Roads Combat Games​. The posibilities are endless, but as an idea we do birthday parties, festivals, fundraisers, marketing promotions, prize packages, church events, school carnivals, after prom, pep rallies, tournaments, alumni events, and more! 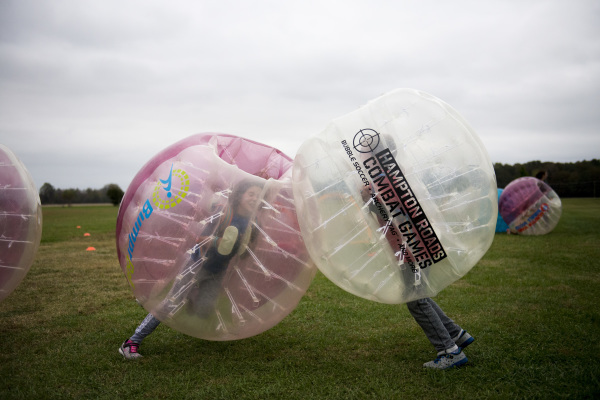 Originally started as Hampton Roads Bubble Soccer, LLC, now combined into Hampton Roads Combat Games. This action packed game will be sure to excite the players and spectators. Get In The Bubble and bounce into your opponents in an attempt to play soccer. You're safely protected by the bubble, there are no rules, and prior experience is not necessary. The fun doesn't stop there. With many bubble activities, soccer is just one way to bounce into this thrilling game. As a licensed provider of Archery Tag®, we're able to bring you the newest team, combat style, activity that's hit the market. Ready your bow. Aim. And Let Loose! 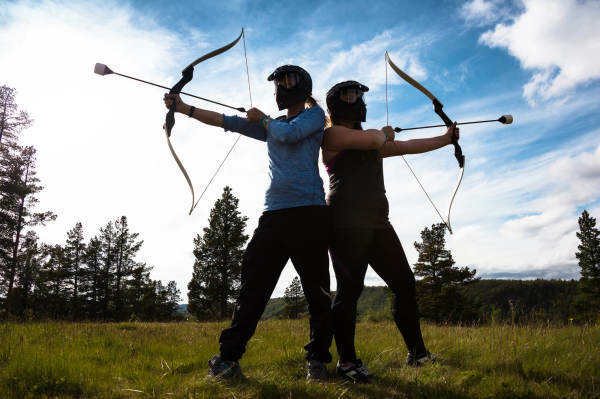 With this experience you'll go into combat with bow and arrow, archery style. With safety being of the utmost importance, our well designed foam tips will not leave marks, but your opponents dreams will be shattered. Take target practice, shoot out the 5-spot targets, or eliminate the enemy in many variations of play. We'll work around your schedule and we'll set up before your game time. If you already have a location, GREAT! We'll be there. If not, we'll find one for you. Estimate the number of players you'll have. Book your event online to reserve our services. We host in 30 minute increments starting at one hour. More infomration about activites, fields, or which to choose. Dedicated to satisfy our customers with the best experiences.